Uh oh! 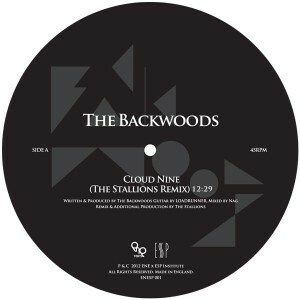 Here we have last years ridiculously massive Backwoods tracks remixed by ESP Institute's bad boys. The Stallions (Lovefingers and Lee Douglas) take DJ Kent's hit Cloud Nine to the church of RAVE to meet a dirty Belfast gospel that will turn your trout-pout upside down and leave your feet bleeding. Just try to find a room big enough to hold this 12 minute monster! On the flip, Cos/Mes tropify the Backwood's album opener Awakening in a stylee that has become their signature, lush and loopy. This is a special collaboration between Tokyo's ENE Records and ESP... don't sleep!